After weeks of interest surrounding the Finn’s plans, sources close to the former world champion have revealed that he is now ready to make his choice. However in light of Lotus not being in a position yet to deliver those guarantees, Raikkonen’s management team has also been in discussions with Ferrari. Although there are reports that Raikkonen’s Ferrari deal is done, sources close to him insist a final call has not been made yet. “The decision rests more with him because he has an offer from us,” said Boullier. “We know he has a couple of things we have to supply and deal with to close the discussion. 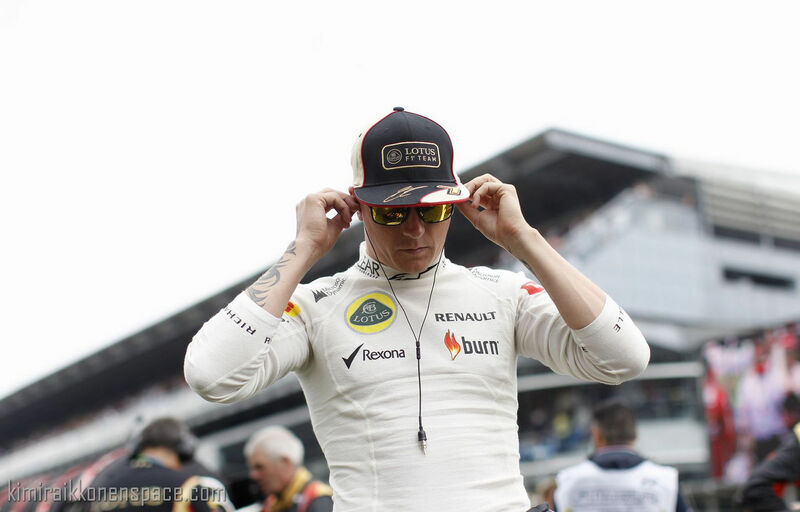 “But now Kimi is in a position where he is being chased by most of the paddock and he will decide. “I am very hopeful within a week I can have answers to the reassurances he is asking for,” he said. Should Boullier’s bid to keep Raikkonen fail, then Nico Hulkenberg – who is also on Ferrari’s shortlist – is expected to move across from Sauber. Boullier said he was comfortable with the team’s plans because of the competitiveness of its car. Kimi will join Alonso, thus replacing Massa. Contract for 2014, 2015 and optional 2016. Kimi will be allowed to do rallying. Kimi won’t have to attend press conferences if he doesn’t want to. The deal is done, yes. He must just announce it tomorrow. Lotus only have themselves to blame for this move. Not only were they unable to pay his salary, but they weren’t able to get his car up to speed either. In fact, the last two races have been a disaster for the team, and probably swayed Kimi’s decision to move to Ferrari. I hope you guys right. If this goes ahead, I feel very happy for Ferrari crew. God, they can just do their job knowing that guy behind the wheel will do his best and not gonna be breathing down their neck all the time undermining their expertise. It will be a breath of fresh air for Ferrari. Lotus made promises they did not/could not keep. The car seemed competitive at the beginning of the year with so much to offer, but – and in much the same way as last year – it failed to produce any significant gains. In fact, since the break – and since Allison’s departure – quali results have been dismal. Finally confirmed on Ferrari website! Good that it’s settled then and I think this is much better guarantee to have a good car next year! There are Byrne, Allison, Fry, … and they have now no excuse not winning next year because they have 2 WDC drivers now. I hope there will be no excesses with intra-team relationships.. Go Kimi!